Howdy y'all, it's Thursday, hope y'all been enjoyin' some of that there Lone Pine IPA now available on the shelves of the LCBO? It's been just about two weeks now and we're still tickled pink that y'all can just drive down the street and pick some up. We'd like to thank each and everyone of ya that picked one up, cause it might be a Lone Pine, but it takes a village....so to all y'all that bought one, or just helped us out along the way. Thank you very much! Anyhoo, like I said, we got some pretty cool news and I thought that maybe this would be as good a day as any to share that there pretty cool news with y'all. Now we've been workin' on this here cool news for quite some time now, but we we're waitin' till everything was down right confirmed before we let the cat outta the bag. But as of today, it's been confirmed that...check this...Sawdust City is goin' international! That's right folks, some of the Sawdust Crew (ie. Rob Engman and myself...Spinney and Bill are stayin' back at the homestead and makin' sure everything keeps on runnin' smooth) are gonna be goin' over to Norway to brew a beer with Norway's 2nd oldest brewery, Ardenals Bryggeri. Now Norway and Gravenhurst may seem like an odd couple, but shoot if they don't have a long history together goin' all the way back to 1942 and World War II. You see, back then during the war, the Norwegian Air Force was trainin' over here, then in 1942 they done moved their training camp from Toronto all the way up to the Muskoka Air field near Gravenhurst. Since then, Norway and Gravenhurst has shared a little bond, heck Gravenhurst even earned the nickname "Little Norway" & Norway's current King even came over here to unveil three new planes. With that in mind, Sawdust City is headin' over to Norway to brew a beer with the good folks of Arendals and hopefully we'll do the folks of "Little Norway" proud! Now, the beer won't be ready until later this fall and most of it will stayin' on the other side of the pond with our new friends in Norway. It will be for sale in grocery stores and restaurants throughout the region. Even with most of the beer stayin' put, we're pretty excited about this opportunity and we've got our fingers crossed that we'll be able to get some of the beer back to Gravenhurst for a special release party later this year. Again, stay tuned to the blog for more details! Sheesh, that was some pretty cool news eh? But dang if I don't gots even more! Ya see, June's a pretty busy month and we got a ton of events lined up throughout the month. 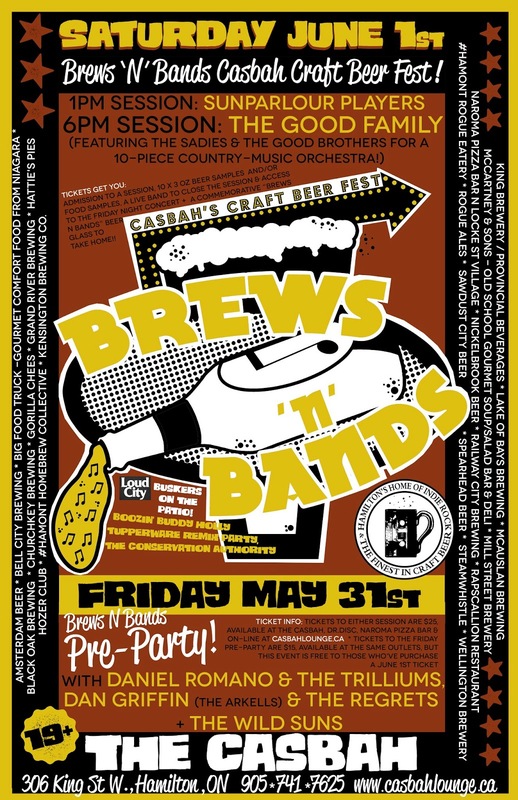 Starting right on June 1st with the 2nd annual Brews'n'Bands festival in Hamilton, ON. After that we're gonna be away for a few days trouncin' around the Norwegian coast brewin' beer with our new friends, but then we're back and right into the thick of it folks, cause startin' Sunday, June 15th, it's OCB Beer Week! 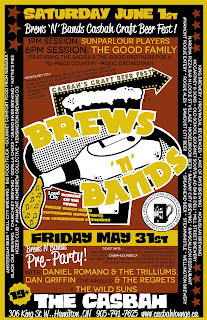 Our first event on the 15th isn't part of OCB Beer Week, but shoot if ain't a big one! 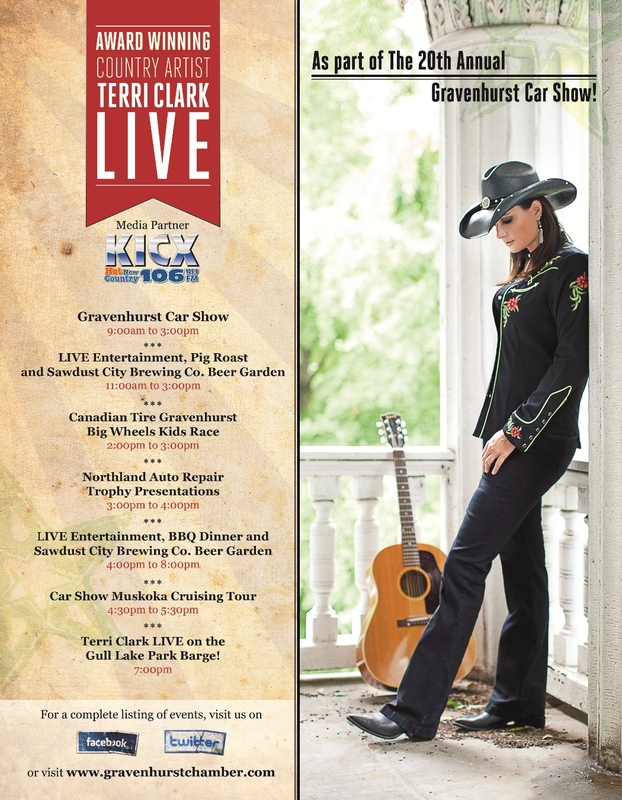 It's the 20th Anniversay of the Gravenhurst Chamber of Commerce Antique Car Show and Sawdust City is one of the main sponsors. We're gonna be on hand all day, handin' out beer and cheerin' on them fancy ole timey cars. And this year, along with a beer garden and some amazing BBQ, there's gonna be live music too! Shoot if that don't just beat all! 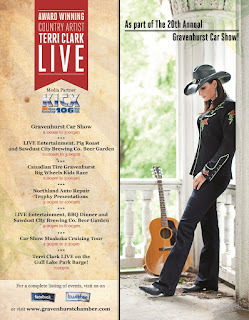 That's right, Country Music Star Terri Clark is gonna be performing a rare acoustic set, live on stage at Gull Lake Park! Now if you happen to be in Muskoka on the 15th, I highly recommend that you come by Gull Lake park at check out this event cause it's gonna be big. But if you happen to be city folk and you find yerself locked down in that there concrete jungle, I got some good news for ya...there be a beer festival at The Stout Irish Pub on that very same day...and guess what? Sawdust City gonna be there too! Yep, we're double dippin' folks. We'll be up North at the Car Show and down South at the Back Alley Beer Festival! Now I done said we had a lot of events goin' on throughout June, but dang if we don't need a rest. So on June 16th, in honour of all y'all Dad's out there, we're gonna stay home, sit on our decks and enjoy some beer, food and good times with our families. But then on the 17th, it's business as usual! We're right back at'er with a kinda-sorta-six-pack-tap-takeover at BarHop with our good friends at Spearhead. 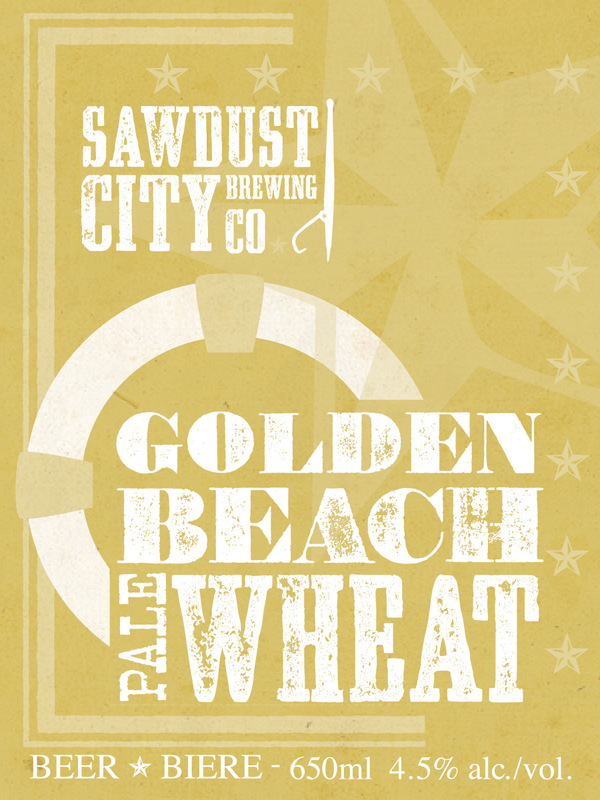 We're teaming up with our good friends to bring you 3 Spearhead beers and 3 Sawdust City beers at one of Toronto's finest beer establishments. So pop by and get yer fill of some fantastic beer and some amazing food. Heck, it's a Monday, what else you gonna do? Tuesday, June 18th, we're gonna be takin' part in Beau's Bottle Royale at Get Well on Dundas. Hosted by Get Well and Beau's, they've invited a number of craft breweries to bring in the big boys...bottles that is! And Sawdust is gonna join in. There is gonna be some new bottles, some big bottles and some bottles you ain't seen in a while! Some come on out and get yer fill. Wednesday, June 19th we're gonna tone it down a little and do a sit down dinner with our really good friends at Morgan's on the Danforth. 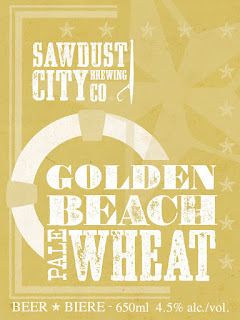 The team at Morgan's is gonna put together a three course meal paired expertly with three Sawdust City beers. I'm gonna be on hand to answer and questions and chat with y'all, but honestly, I'm really goin' to eat some fantastic food! We'll be sendin' out some posters and gettin' some more information about this event as it gets closer to the date, so stay tuned. There's gonna be limited seating, so get yer tickets fast! Thursday, June 20th we're back at it with our friends at Spearhead. We're gonna be doin' another kinda-sorta-six-pack-tap takeover, but this time on the west end of town at The Rhino. Again, we're super excited to be working with our good friends at Spearhead and to be goin' to another legendary beer bar like The Rhino. Friday we're gonna be takin' another break...cause it's Rob's Birthday! Happy Birthday Rob!. Lastly, Saturday, June 22nd, it's the biggest event of the week...Session Toronto! Shoot, we done be waitin' all year for this. Every year this is one of our favourites, we always like to have fun and bring something special to Session, but this year we got something Super Special! That's right folks, if y'all remember way back to the beginning of May, we brewed a beer with our friend Fearless Fred of Edge 102. As part of this years Collaboration Nation at Session, we brewed a traditional French Saison aged on Raspberries. Fred lovingly named the beer Allison Breer in honour of the lovely Allison Brie and on June 22 y'all finally get to try it! Again, if you didn't already have a reason to come to Session, we just done gave you another. So get your tickets soon, cause they be goin' real quick like. Well shoot, that was a whole bunch of big news...but heck, it's Thursday and y'all needed summpin' to get ya through til tomorrow! Thanks again for readin' and we'll see y'all again real soon. Anyhoo, that's about it for now. Until next time, keep the beer in your mug and the sawdust beneath your feet.